At iCompute we passionately believe that Computing has the potential to empower pupils with SEND and transform their lives. With the right blend of progressive, imaginative planning, exposure to a broad range of tools and technologies and comprehensive support it is possible that all children can fulfill their potential – in computing and throughout the curriculum. 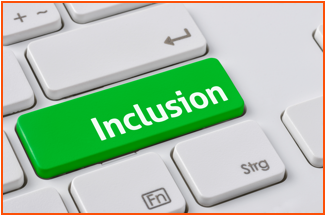 Computing and Information Technology are essential tools for inclusion. They enable children with SEND, whatever their needs, to use technology purposefully in ways that make the wider curriculum accessible, empower those with communication difficulties to engage with others and to fully include everyone in activities and learning. iCompute offers children with SEND varied and engaging ways to communicate, collaborate, express ideas and demonstrate success. From making and editing video/audio footage, programming animations, games and apps to creating rich web content – all pupils have an opportunity to participate, be challenged, learn and progress.